Satirical News: Pinoy Pride Dried Mangoes Turn Out to Be Harmful, Philippine Government Just Laughs it Off! Believe it or not, a new dried mango branded as "Pinoy Pride Dried Mangoes" just came into the market. Unfortunately the laziness of the government offices and the fact it's supposedly "looking better" than the dried mangoes that the Philippines exports with pride due to high quality, it was no sooner exported abroad without passing the safety tests. What was the scam was that melamine was used as a drying agent and formalin was being used in "preserving" the mangoes. The dried mangoes were exported to areas that love the Filipino product but sadly, it caused more deaths than the melamine scandal in China last 2008. Unlike the Chinese government that took action against its corrupt health minister, President Nobita just laughed it off. Sensible Filipinos rallied against the corrupt customs who accepted money from the activist group called "Bobo Muna" who was the producer of the "Pinoy Dried Mangoes". They wanted to promote Pinoy pride to it but its shoddy manufacturing process reveals that they were using melamine to make it "dry faster" and formalin on rotten mangoes to make it "look fresh". No wonder they not only taste bad but also killed a couple of people who tasted it. In short, it was highly toxic. China axed down Zhang Yujin and Gong Jinping and even executed them, sadly Nobita didn't even fire Philippine health minister Tamad Basura who approved of the products as "safe" and he is a member of Bobo Muna. In an interview with some Bobo Muna members, one of its members only called as Sinungaling said in Tagalog, "We wanted to promote Pinoy pride. It's sickening to how the Chinese in the Philippines are usually the producers of dried mangoes and not Pinoys! They should all be sent back to China even if they were born here! Philippines is only for those of Filipino blood! This is a frame up by them! Sabotage! They are jealous of Pinoy Pride quality! If it kills all of China, so be it for the liberation of the Filipino people!" Some Bobo Muna members put up a show saying Chinese businessmen swapped their dried mangoes with melamine infested ones to frame them up. However according to the Department of Health after an inspection was done and they all resisted, the Pinoy Pride Dried Mangoes were made by Bobo Muna, were all shoddily made. It was confirmed by honest to goodness Filipino government employees that it was no frame-up. 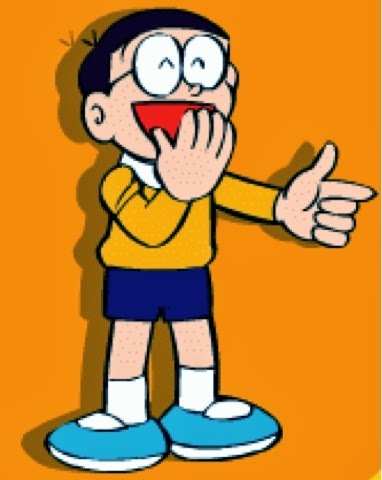 One of the DOH employees said, "This is no laughing matter that President Nobita is just laughing it off. Let's see him laugh it off if he ate some of those dried mangoes that caused this sad epidemic and a ruin to the Philippines." Some vigilantes burned down the factory since the Philippine government refused to take action. What was confirmed was that some Bobo Muna members were arrested in China before they can board the plane back to the Philippines. Currently, they will be on trial and may soon be on the death row. In China, its president Hu Jintao said, "The melamine scandal ruined China's face. That's why we the Chinese government took action. It's a shame that President Nobita just thinks it's a laughing matter. We did not take ours as laughing matter because it's bad for the Chinese economy. Why cannot the Philippine government take things seriously? Nobita's a retard no doubt about that!" Chinese protested by eating the quality dried mangoes from the Philippines while burning the Pinoy Pride Dried Mangoes at the Tiananmen Square to prove that they aren't boycotting Filipino products, only the bad ones and to show their concern, they also burned bad Chinese products as well. In Singapore, health officials have taken action. Some Filipinos in Singapore were then awarded there for revealing the danger of the new dried mango brand as dangerous, rather than side with Pinoy pride. In Singapore alone, the products were burned at a public square and professional Filipinos working there carried it out, to further make people see that Pinoy pride must get out of the Philippines. What was also confirmed in Singapore was that some of those who died were also Filipino maids. The bodies of the Filipino maids will be sent back to the Philippines as victims of the foul play of the Bobo Muna food products.